“Palmyra” is the Greek translation of the Aramaic name “Tadmor” that means, “palm tree”. The city was located in the Syrian desert, 215 km north-east of Damascus, the Syrian capital, in an oasis surrounded by palms halfway between the Mediterranean Sea in the west and the Euphrates River in the east. The ideal location allowed the city to grow steadily in wealth and importance as a city on the Silk Road trade route linking Persia, India and China with the Roman Empire. This marked the crossroads of several civilizations in the ancient world. 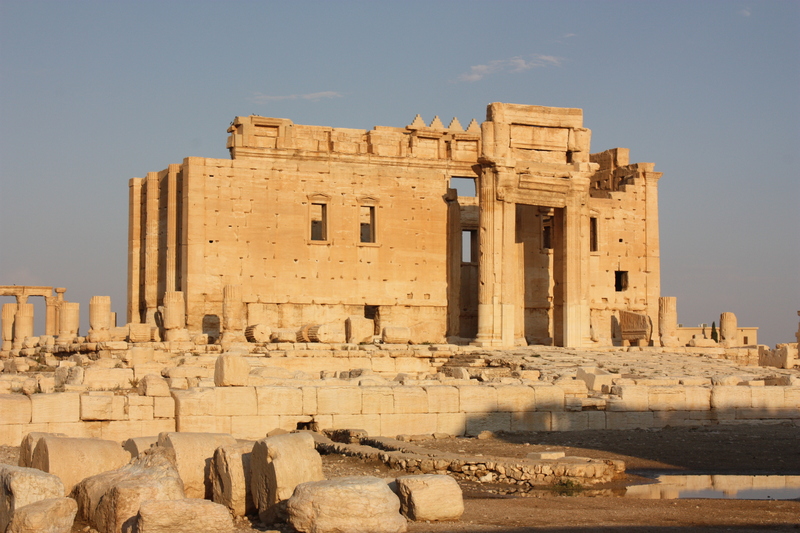 Palmyra fell under Roman control in the mid-first century AD as part of the Roman province of Syria. Palmyra’s wealth enabled the construction of monumental projects, such as the Great Colonnade, the Temple of Bel and the distinctive tower tombs. The archeological site contains the monumental ruins, where the forms of Greco-Roman art are originally combined with indigenous elements and Persian influences, demonstrating that is was one of the most important cultural centers of the ancient world. 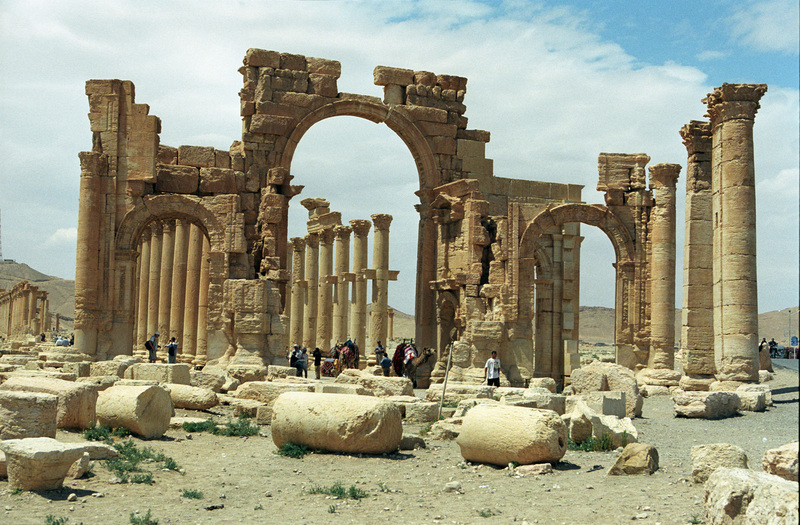 Recognition of the splendor of the Palmyra ruins by travelers in the 17th and 18th centuries contributed greatly to the subsequent revival of classical architectural styles and urban design in the West. UNESCO World Heritage designated this site in 1980 because of the outstanding cultural and historic value. 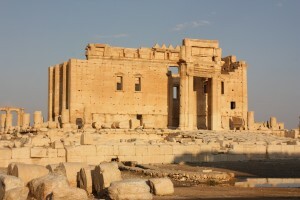 The outbreak of the Syrian war in 2011 consequently lead to Palmyra’s placement on the World Heritage Sites in Danger in 2013. Starting from May 2015, ISIL militants repeatedly destroyed parts of the site, including: unique examples of funerary sculpture and tombs, the temple of Baalshamin and the temple of Bel, the monumental arch and part of the grand colonnaded Street.